A Public Buddhist Teaching in York, UK. Wisdom and compassion are two core elements of Buddhist philosophy. Helping students to deepen their understanding of such an important topic as compassion is a central part of Lama Lhakpa Yeshe‘s work in spreading knowledge of Buddhist teachings here in England. It is a particular joy when a group comes forward and requests teaching on a subject such as this; as it gives opportunity to increase both wisdom and compassion in listeners to the ultimate benefit of all sentient beings. Lama Lhakpa Yeshe has therefore gratefully accepted an invitation to give a public talk on the subject “How to Deepen Compassion in Our Daily Lives“by The Tibetan Support Group, York. 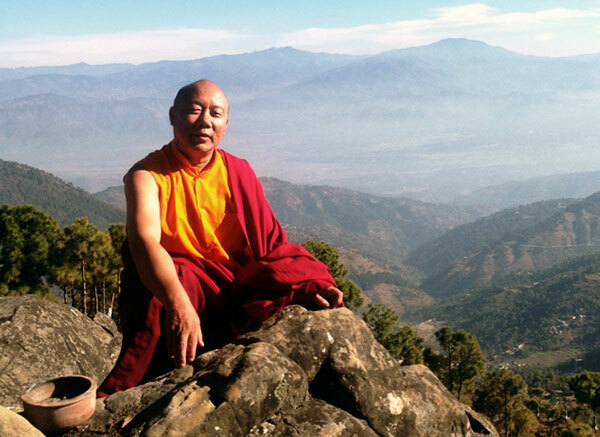 If you have never met a Tibetan Lama before, or wish to learn more about Buddhist teachings in general then this is a great opportunity to do so. Lama is a warm and compassionate man, with a great sense of humour. This talk is likely to be great fun as well as very informative. Venue: The Friends Meeting House in York, UK (also known as Friargate Meeting House). Date: The talk will take place on Saturday 13th October, 2012. Time: The meeting is scheduled to start at 2:30pm and last around two hours (2:30pm- 4:30pm). Admission: Admission is free, but please consider making a donation if you are able to do so as Lama relies on donations to live. This is a public meeting and everyone is most welcome to attend. The building has disabled access and is placed near to long and short stay parking.